A directive from the head of ICE's deportations unit appears to push for tougher action than the Trump administration has publicly promised. The head of the Immigration and Customs Enforcement unit in charge of deportations has directed his officers to take action against all undocumented immigrants they may cross paths with, regardless of criminal histories. 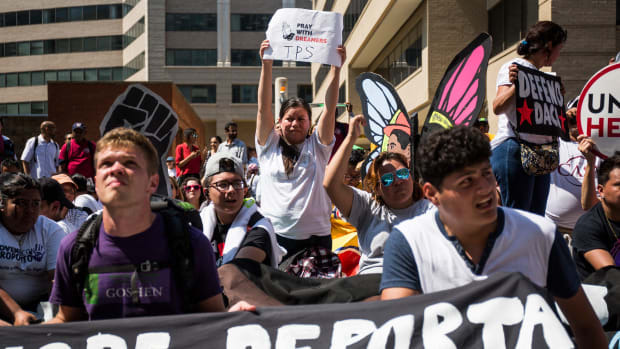 The guidance appears to go beyond the Trump administration&apos;s publicly stated aims, and some advocates say may explain a marked increase in immigration arrests. The Trump administration, including Secretary of Homeland Security John Kelly, has been clear in promising to ramp up immigration enforcement, but has so far emphasized that its priority was deporting immigrants who posed a public safety threat. Indeed, Kelly, to whom Albence ultimately reports, had seemed to suggest a degree of discretion when he told the agencies under his command earlier this year that immigration officers "may" initiate enforcement actions against any undocumented person they encountered. That guidance was issued just a day before Albence sent the memo to his staff. A spokesman with ICE said Albence&apos;s directive did not represent a break with Kelly&apos;s stated aims, and was consistent with current agency policies. "The memo directly supports the directions handed down in the executive orders and mirrors the language ICE consistently uses to describe its enforcement posture," the spokeswoman, Sarah Rodriguez, said in a statement. "As Secretary Kelly and Acting Director [of ICE] Homan have stated repeatedly, ICE prioritizes the arrest and removal of national security and public safety threats; however, no class or category of alien in the United States is exempt from arrest or removal." "When you use the word &apos;will&apos; instead of &apos;may&apos; you are taking it a step further," Saldaña said. "This is an important directive and people at ERO are bound by this directive unless someone above Matt Albence comes back and says, &apos;You went too far.&apos; I don&apos;t think you are going to find that person in this administration." 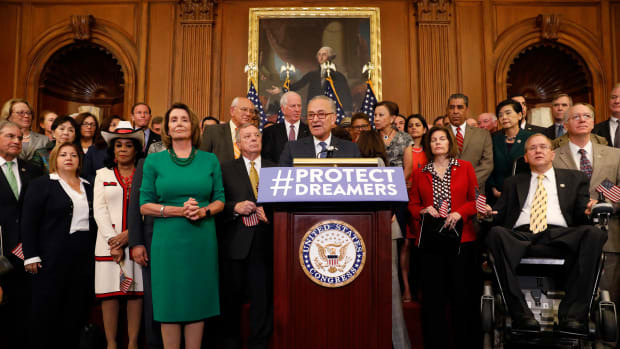 Since 2008, Congress had traditionally used its annual spending bill to instruct the secretary of homeland security to prioritize the deportation of convicted immigrants based on the severity of their crimes, but that language was left out of this year&apos;s bill, helping to pave the way for broader enforcement. In recent months, the number of undocumented immigrants arrested who are considered to be non-criminals has risen. (Under the law, merely being here illegally is not a crime. Rather, it&apos;s a civil violation.) 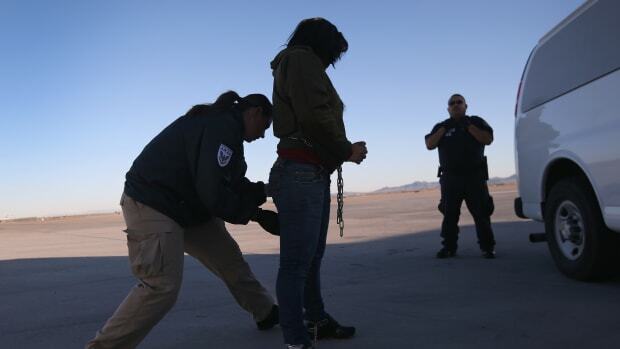 Between February and May, the Trump administration arrested, on average, 108 undocumented immigrants a day with no criminal record, an uptick of some 150 percent from the same time period a year ago. The ICE memo acknowledges that space in detention facilities limits the number of undocumented immigrants who can be detained upon apprehension. Still, it says ICE officials are mandated to begin deportation proceedings against all undocumented immigrants with whom they cross paths—even if those apprehended remain free as they face an immigration judge, a process that can take years. 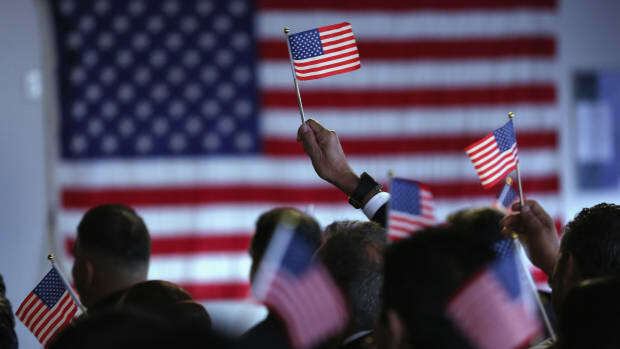 Others may be swiftly deported if they are found to already have final deportation orders signed by an immigration judge. 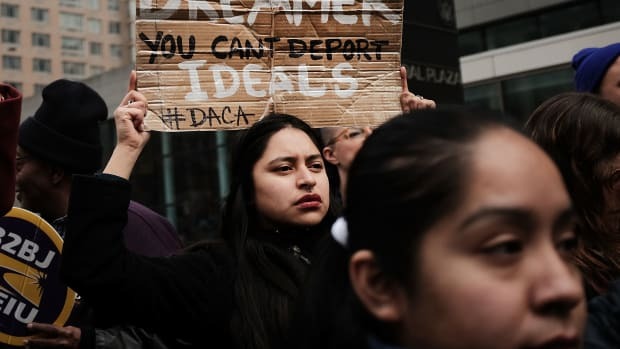 As of May of 2016, there were 930,000 undocumented immigrants who had been ordered deported but remained freely in the country, according to ICE statistics. 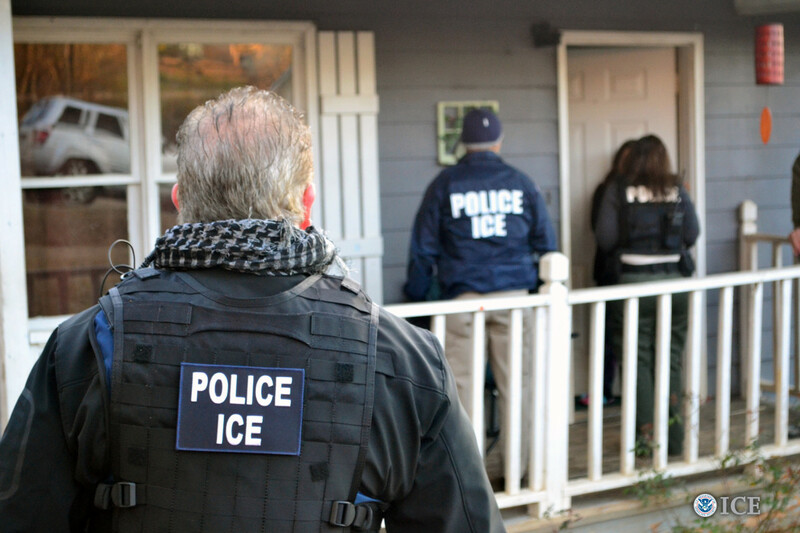 Under Obama-era guidelines, undocumented immigrants with no criminal record—but perhaps with a pending deportation order—could only be arrested if an agent&apos;s supervisor determined their deportation "would serve an important federal interest." Homan has appeared to acknowledge the impact of the agency&apos;s more aggressive approach even if he did not mention Albence&apos;s explicit direction. "There has been a significant increase in non-criminal arrests because we weren&apos;t allowed to arrest them in the past administration," Homan told a House committee. "You see more of an uptick in non-criminals because we&apos;re going from zero to 100 under a new administration." "I expect that the agency believes that there is no one in the White House or DHS that is going to tell them: &apos;No. Don&apos;t do this,&apos;" Bier said. "And without an effective check in the administration we are going to see arrests being made without any regard to prioritization." Trump has yet to nominate a political director to lead ICE. In fact, all three immigration agencies under the Department of Homeland Security—ICE, Customs and Border Protection, and U.S. Citizenship and Immigration Services—are currently implementing Trump&apos;s agenda while being led by career staff. Homan has so far served as a vocal supporter of Trump&apos;s ramped up immigration enforcement. Last week, he even made an appearance at a White House press briefing. "Why do you think we got 11 million to 12 million people in this country [illegally] now?" Homan asked White House reporters. "Because there has been this notion that if you get by the Border Patrol, if you get in the U.S., if you have a U.S. citizen kid, then no one is looking for you. But those days are over." This post originally appeared on ProPublica as "ICE Officers Told to Take Action Against All Undocumented Immigrants Encountered While on Duty" and is republished here under a Creative Commons license. Under the Obama administration, agents had discretion in cases of immigrants with gravely sick children. Under Trump, officers are told to enforce the law "to the greatest extent practicable."